Ethereum is the blockchain protocol with the most active developers and the most projects built on top of its platform. That’s why we have put together this comprehensive guide to help you choose the best Ethereum wallet for you. Its native cryptocurrency, Ether, has the second highest market valuation behind the original cryptocurrency Bitcoin, so it is no surprise that loads of people have become interested in investing and trading Ether and Ethereum tokens. However, before we can start trading and investing, we need to understand the basic principles of how an Ethereum or general crypto wallets work. Blockchain-based assets and currencies are normally called cryptocurrencies, crypto assets, or simply cryptos because they all depend on cryptography. On a very simplistic level, cryptography is the use of mathematics to send, receive, conceal, or reveal information. Private keys are essentially the secret code that controls your information, which in this case, would be your crypto assets. Knowing an account’s private key means users have complete control of that account’s assets without having to go through any intermediaries. Using cryptography and with access to the private key, we are able to generate — through many complicated steps — an address, which represents your account. It can be thought of like a mailbox or an email address that people can send things to, but you can only send things from it if you have the private key. The address is the public face of your account and can be shared with anyone but no one can figure out your private key from only knowing your address thanks to the genius of cryptography. An Ethereum address always begins with 0x. The term “wallet” is kind of a misnomer in that crypto wallets don’t actually hold any assets. Wallets can only contain access to private keys, which in turn control crypto assets. Functionally, wallets allow users to create new accounts and send assets, although different wallets have different features and functionality. It would be more accurate to call a wallet, a keyring or keychain because it controls and has access to different types of keys but we’ll go with ‘wallet’ seeing as everyone else does. 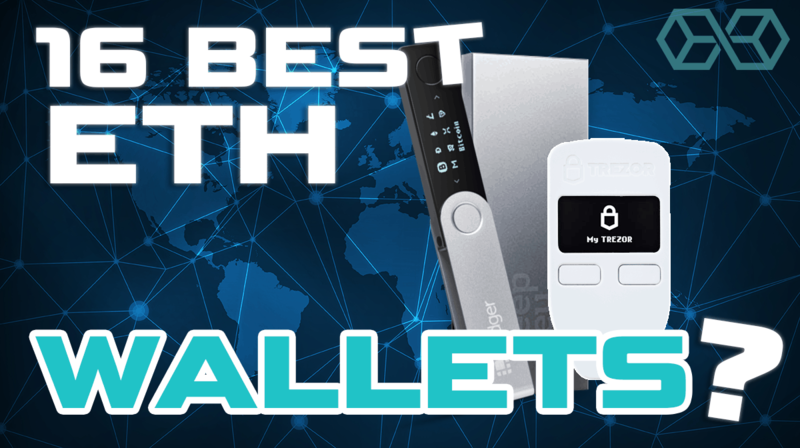 The differences between different types of wallets revolve around how each wallet deals with private keys. The most basic type of wallet is known as a “paper wallet,” which is a piece of paper with your private keys written or printed on it. The information on this piece of paper is all that is needed to control all the assets on an Ethereum account. A paper wallet is secure in that it is possible to keep it from every other person or system on the planet and only you can know about its existence, its location, or how to access it. Paper wallets are insecure though because if you lose it or it gets damaged beyond recognition, there is no possible way to recover your funds. You have lost those assets forever. To counteract this vulnerability, some people make multiple copies of their paper wallet and put them in different locations or keep the paper wallet in a secure spot such as a safety deposit box at a bank. Paper wallets fall under the category of ‘cold wallets,’ which means that they are completely disconnected from the internet. This makes cold wallets more secure and less vulnerable to software-based attacks. 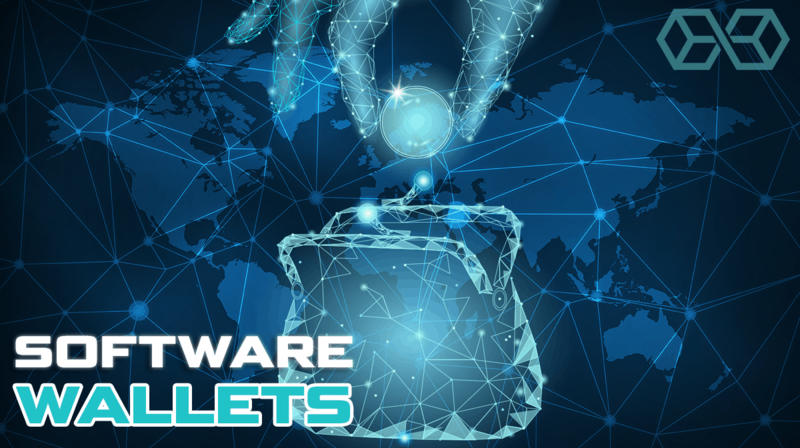 Hot wallets, on the other hand, are connected to the internet so they are more accessible and useful for frequent transactions, but are also more vulnerable to hackers. In general, cold wallets are better for securing large amounts of funds and hot wallets are better for everyday transactions and usage. The table above will help you choose a software wallet to store your Ether. The most common way for people to buy their first crypto asset is through an exchange which allows people to trade between fiat currencies and cryptocurrencies. Exchanges also act as wallets because the platform controls the private keys on behalf of the user. The benefit of having a platform control your private keys is that your funds or assets are recoverable if you lose your password. 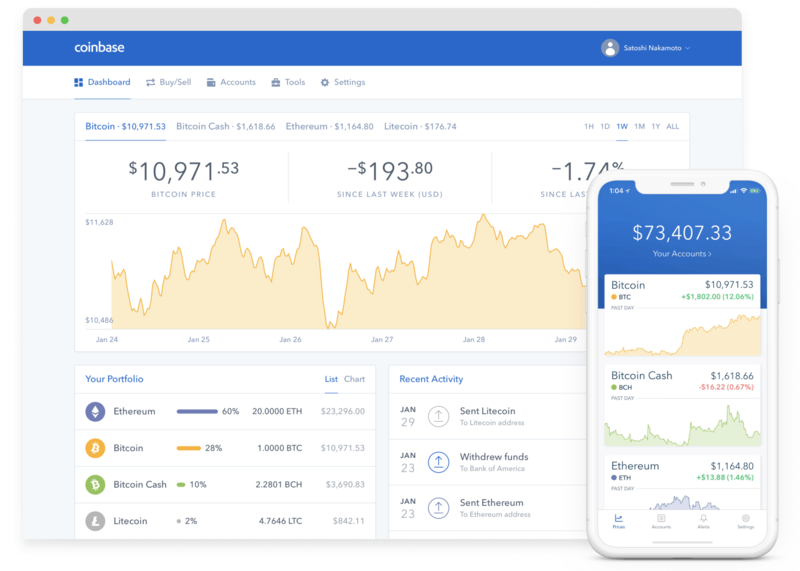 Coinbase is one of the oldest and most trusted exchanges. It was founded in 2012 and has over 20+ million users as well as backing from some of the most respected investors in the world. Coinbase is also one of the most legally compliant cryptocurrency exchanges globally. It is connected to the traditional banking system in Europe and the United States, so it is fairly easy to convert fiat currencies such as the US Dollar and the Euro to Ether. Binance is the largest cryptocurrency exchange in the world in terms of trading volume. While Coinbase is mainly available in the U.S. and Europe, Binance is accessible across continents and has even made progress expanding to Africa. Furthermore, Binance has many more crypto assets available for trading when compared to Coinbase, which has a much stricter process for listing new crypto assets. Both Binance and Coinbase control private keys on behalf of their users, so funds are controlled by the username and password used to access the platform. 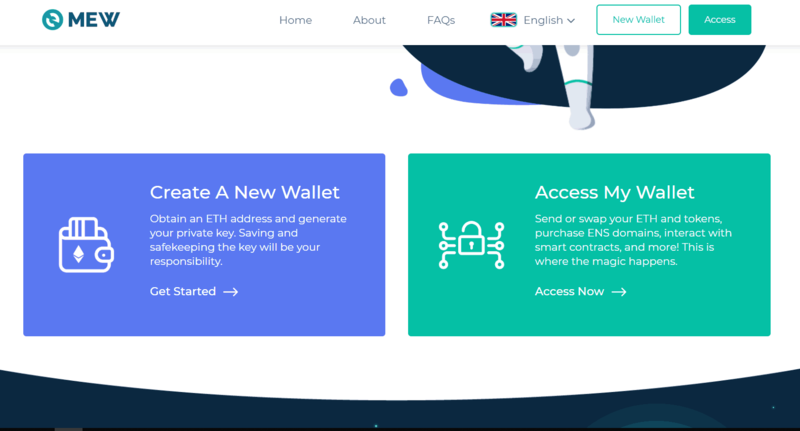 MyEtherWallet and MyCrypto are wallets that are used specifically for Ether and Ethereum tokens so they do not interact with cryptocurrencies from other blockchains such as Bitcoin or XRP. Ethereum tokens are assets or currencies, which have been created on top of the Ethereum platform. Tokens can have a wide variety of purposes and are different from Ether itself, which is the fuel that runs the Ethereum network. The most popular type of Ethereum token is called an ERC20, which is a token created using a common standard that allows any ERC20 token to be easily traded with another ERC20 token. The second most common token is called an ERC721 or a non-fungible token, which is unique and cannot be broken up into smaller parts. For simplicity’s sake, I will refer to both ERC20 and ERC721 tokens as just Ethereum tokens. One of the oldest and most popular web-based, Ethereum-specific wallets is MyEtherWallet (MEW). MEW does not control private keys on behalf of the user and instead allows users to create new accounts and access existing accounts to send transactions. MEW also has a smartphone app called MEWconnect that allows users to access the functions of MEW from their mobile devices. Taylor Monahan, the co-founder of MyEtherWallet, started MyCrypto in February 2018 as a fork of the MyEtherWallet codebase. A fork means that both products have the same software or code up to the point in which they split. Once separate, two distinct products are born from the different coding decisions made by the teams. MyCrypto claims to have started in 2015 but it is difficult to say which product or team is the original. It has very similar core features such as the ability to create new accounts and send transactions on existing accounts. 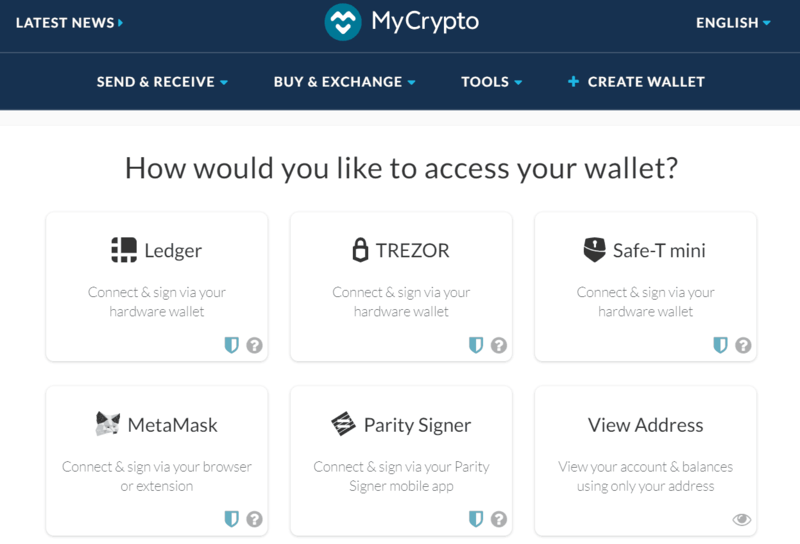 MyCrypto has also developed a desktop application, which is more secure because it doesn’t have to be connected to the internet to function and is capable of doing things like accessing an account via a private key, which the web version does not allow any more. The primary purpose of Ethereum is to be a platform that runs smart contracts or decentralized applications (dapps), which means that Ethereum is meant to be more than simply a way to send and receive assets or currency. Its true potential is in enabling the creation of computer programs that can control value that executes automatically when certain pre-defined conditions are met. In order to access these dapps, an interface is required that can send data to the dapp and a wallet with Ether is required in order to pay for transactions on the dapp. The original Ethereum wallet was Mist, which functions as both a simple wallet and as an Ethereum browser. Like traditional web browsers such as Chrome or Safari that allow users to interact with normal websites, Mist allows users to interact with dapps on Ethereum. Mist is a desktop application in which private keys are controlled by the user. It also allows the user to run a node, which is a critical component of Ethereum’s infrastructure and keeps a record of all the transactions that have happened on the network. 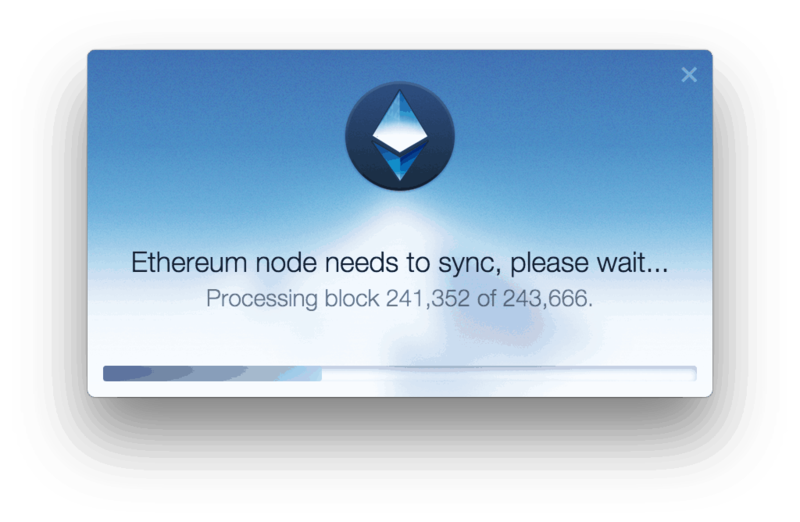 When Ethereum was first released and Mist was the only wallet available, users had to wait for their nodes to sync before being able to make any transactions, which sometimes took hours or even days! Though popular when Ethereum was first released, Mist has declined in popularity in recent years due to the explosion of competing Ethereum interfaces, wallet programs, and applications. MetaMask is the most popular Ethereum interface with over 1 million downloads. It works as a browser extension instead of a standalone desktop program and allows users to interact with dapps. The private keys are controlled by the user and it functions as a wallet because it also allows users to control their funds and crypto assets. MetaMask has become the preferred option for interacting with Ethereum dapps. 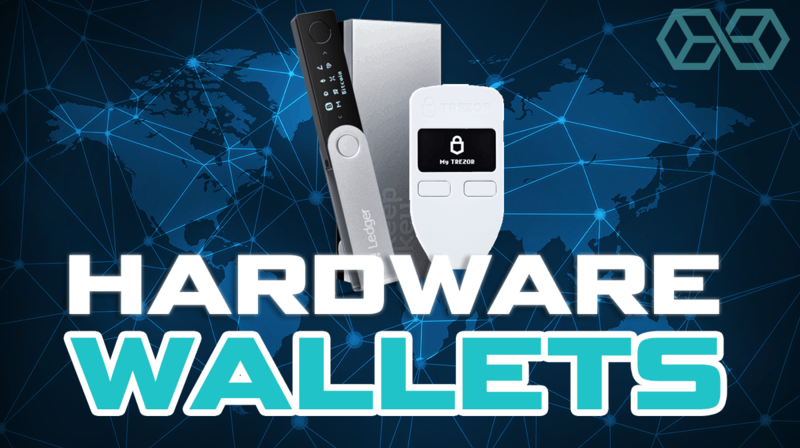 Hardware wallets are self-contained devices with specially designed hardware that is optimized for security. 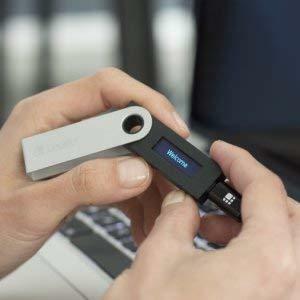 Unlike software wallets, hardware wallets can function as either cold or hot wallets. 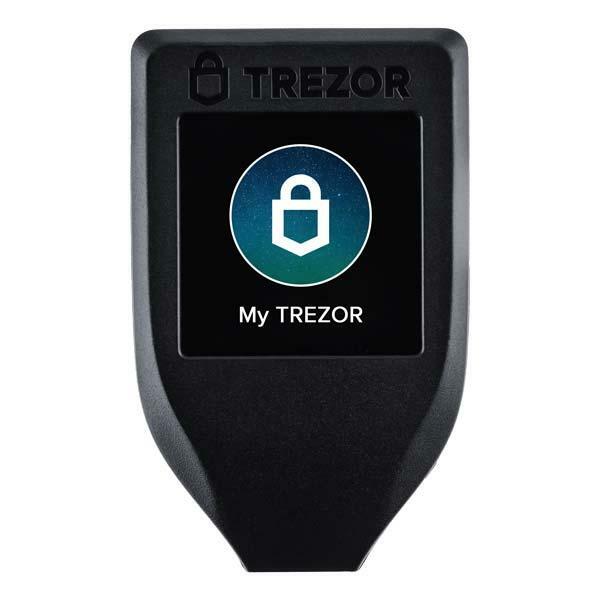 Hardware wallets allow users access to their private keys without having to be connected to the internet. However, they also have the option of connecting to the internet when assets transfer or crypto related functions need to happen. 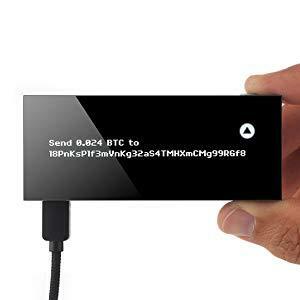 Hardware wallets are essentially a portable hard drive that stores your private keys and helps manage or secure crypto assets. There is commonly a digital display and some kind of interface on the device. Hardware wallets normally come with the ability to have a passcode, which adds a second layer of security, before being allowed to access it. These companies also offer the option of holding a backup copy of a user’s private keys which allows you to recover your private keys in case the device is lost or stolen. As opposed to all the wallets mentioned above, hardware wallets cost money. 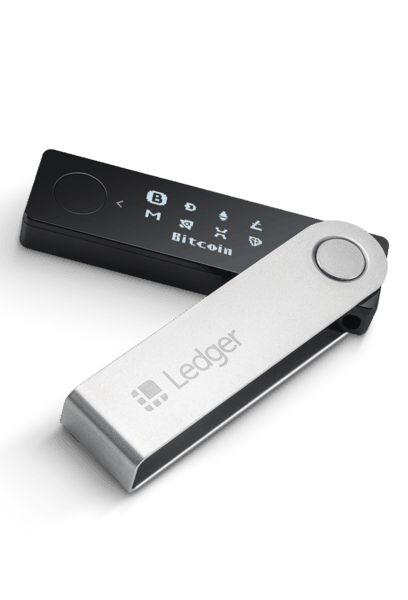 The Ledger line of hardware wallets is one of the oldest and most popular hardware wallets on the market with over 1 million products sold. They support over 1000 different crypto assets including Ethereum and Ethereum tokens. 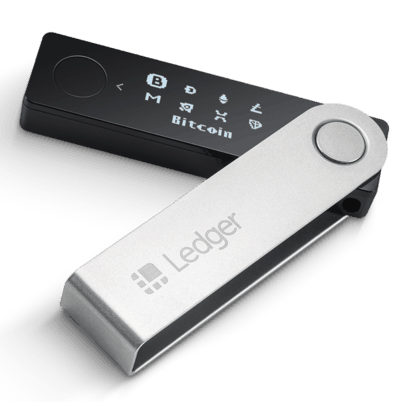 They have even created a software application that is compatible with all their hardware devices called Ledger Live. Trezor, like Ledger, is also a well-established and trusted hardware wallet company having supported Bitcoin before Ethereum and other blockchains became popular. Now, it also supports Ethereum, Ethereum tokens, and hundreds of other crypto assets. 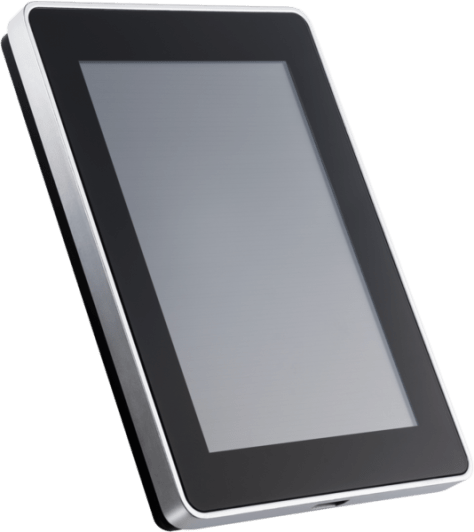 They offer simple interfaces, security-focused technology and extra layers of protection using passwords and PIN numbers, as well as backup and recovery options. KeepKey was developed by online crypto exchange, ShapeShift, and is fully integrated with ShapeShift so that users can exchange different crypto assets from the device. 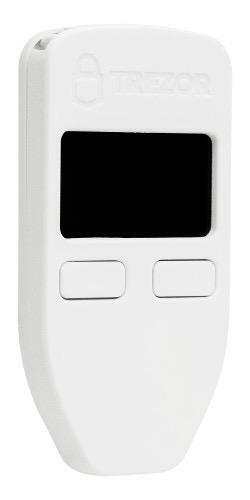 There is only one KeepKey product on the market so far, but like Trezor and Ledger, it offers an isolated and secure device with a simple display and button interface that is capable of functioning as a cold wallet. KeepKey also features PIN or password protection as well as backup and recovery options. Many wallets are also available as applications on mobile devices such as Coinbase, Binance, MyEtherWallet, and Ledger. 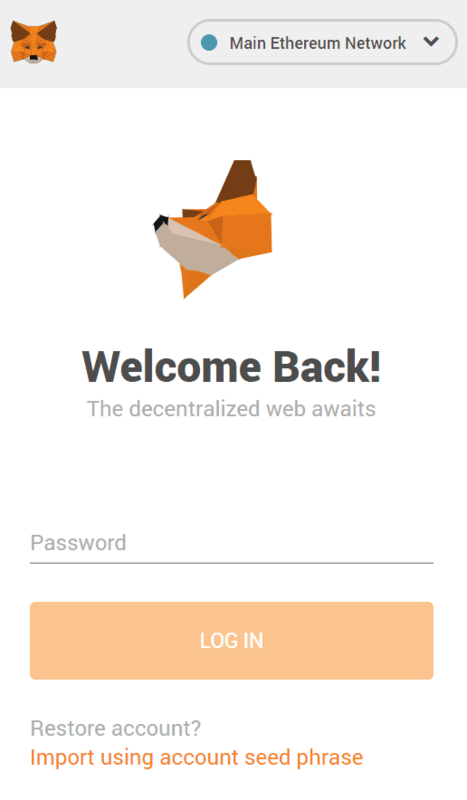 MetaMask is currently developing its own mobile app. The functionality of these apps are generally the same as the web versions and there are hundreds of other mobile apps available that function as crypto asset exchanges, Ethereum wallets, and Ethereum interfaces so we won’t go over all that in too much detail right now. The next and most exciting phase of Ethereum wallets will be wallets that are native to smartphones or smartphones built with blockchain functionality specifically in mind. 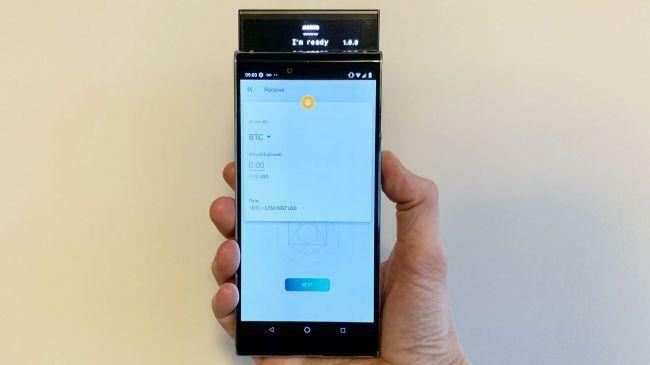 These phones will combine the security features of a hardware wallet, with the familiar interface of a mobile app on a device that we are all so dependant on already. The difference between these phones and other smartphones is not only specialized hardware but also that they have blockchain applications such as wallets already built in so users will not have to download any extra applications in order to send or receive crypto assets. The Finney by Sirin Labs is the most blockchain focused smartphone on the market. The Sirin Labs team originally created the Solarin, which they branded as the “world’s most secure mobile phone” costing over $14,000 so the team is no stranger to security. It has created everything on the Finney from the ground up including its own operating system and cryptocurrency called the Sirin Token. It was even launched through a crowdsale or Initial Coin Offering, which raised $157 million USD making it a truly blockchain-native phone. The Finney is able to interact with decentralized applications and has cold wallet capabilities. The wallet, which pops up at the top of the phone is its most distinctive feature in both looks and functionality. For security, the wallet has its own hardware, which is separate from the general hardware of the phone. Reviews have been somewhat mixed, with the general consensus being that this is a niche phone for the crypto enthusiasts with decent features. The HTC Exodus is the first blockchain native phone built by a major well-established corporation, HTC. Like the Finney, it emphasizes security to protect your crypto assets and allows users to easily interact with decentralized applications as well as exchange different crypto assets. The HTC Exodus uses a specially designed secure hardware or “vault” called Zion, which protects the private keys of users. Its marketing is centered not only on protecting the user’s crypto assets, but also the user’s private data. The HTC Exodus includes an interesting concept for backup and recovery called “social key recover” in which you split your recovery keys among 3 to 5 of your most trusted contacts. The newest smartphone with native blockchain support will be the Samsung Galaxy S10. This will be the most mainstream or popular product line to have a pre-installed crypto wallet and blockchain-specific features. Furthermore, the Galaxy S10 will support both Ether and Ethereum tokens, but not Bitcoin, the original cryptocurrency. The release of the Galaxy S10 is a huge leap in terms of mainstream adoption of Ethereum. The most explicit blockchain feature of the Galaxy S10 is their “Blockchain Keystore” app, which allows for features such as crypto payments and transfers, secure crypto storage, and digital signatures. This Blockchain Keystore is where the phone securely stores the user’s private keys and generates new private keys and addresses. Samsung also keeps a backup of users private keys in case they lose the phone or accidentally delete their password. There are a wide variety of Ethereum wallets with more being developed every day. Moreover, the ones that are used have overlapping functionality and features, which are constantly changing. This has been an attempt to cover a wide variety of Ethereum wallets in limited depth. The best wallet really depends on what you value and how you plan to manage your crypto assets. Paper wallets have maximum security from hackers but are also one of the most vulnerable to human error or physical damage. Centralized exchanges such as Coinbase and Binance offer customer service and allow users to recover their funds in case of lost passwords, but you have to trust that they are and will continue to be reliable. Ethereum-specific wallets and interfaces such as MyEtherWallet, MyCrypto, and MetaMask offer more functionality and keep private keys in your control, but will be unable to help if you ever lose those private keys. Hardware wallets and blockchain native phones seem to offer the best of both worlds, allowing user control of private keys along with backup and recovery options, but they cost money. I hope this guide helps, but as always, do your own research and choose wisely. Previous ArticleMonero Price Prediction 2019-20-25 — How Much Will XMR Cost?